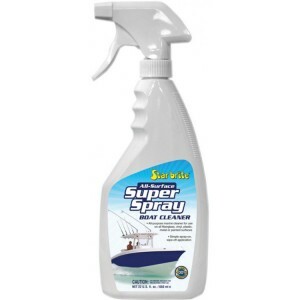 Super Spray Boat Cleaner is an heavy duty all-purpose cleaner made to remove grime, grease, oil, fish blood and other tough stains. Just spray-on and then wipe away. Super Spray Boat Cleaner is for use on fiberglass, metal, painted surfaces, vinyl and formica.